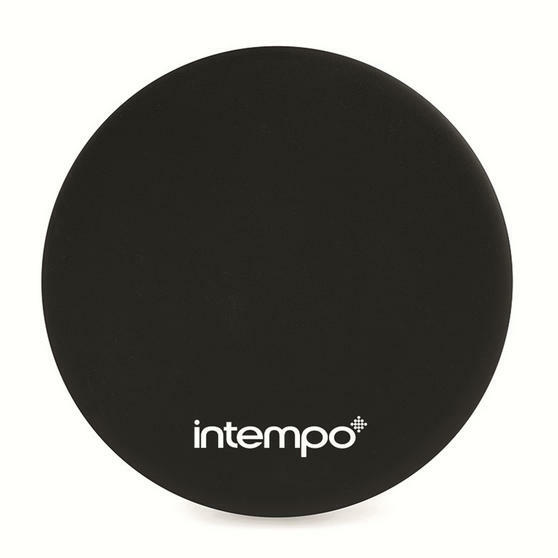 Keep a backup battery with you to ensure your Smartphone is always charged wherever you are with this pocket sized Intempo Power Source. 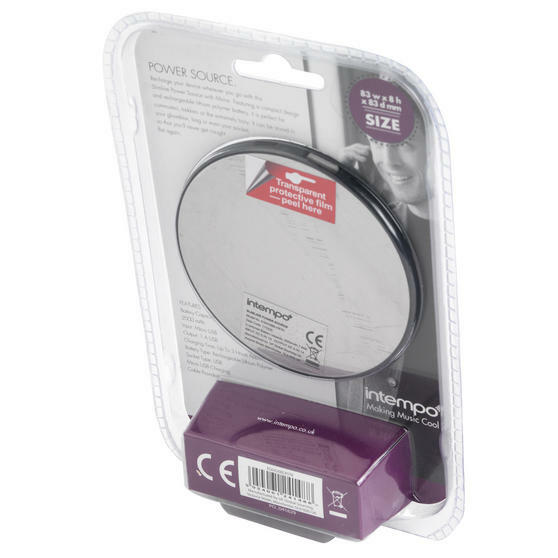 With a slim design and rechargeable lithium polymer battery, this unique power source has a mirror on the reverse so you can charge it up and keep it in your bag for emergencies, using it as a mirror in the meantime. 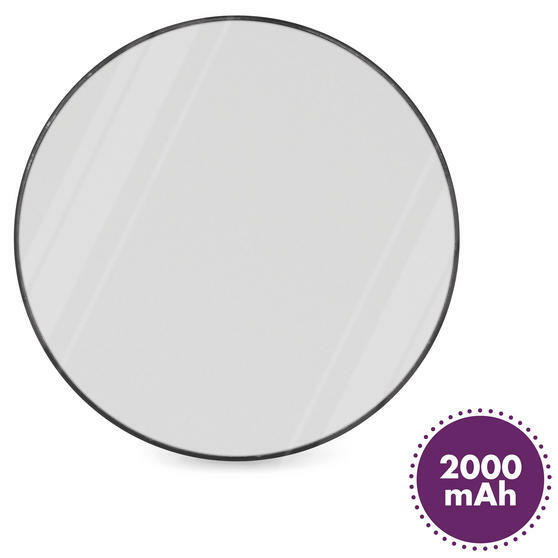 Ideal for festivals, camping and holidays, it measures just 8.3l x 0.8w x 8.3h cm and weighs only 60 g so you can carry it with you at all times. With sleek black styling and a mirror on the reverse, this Intempo power source is the best way to ensure you never run out of battery. 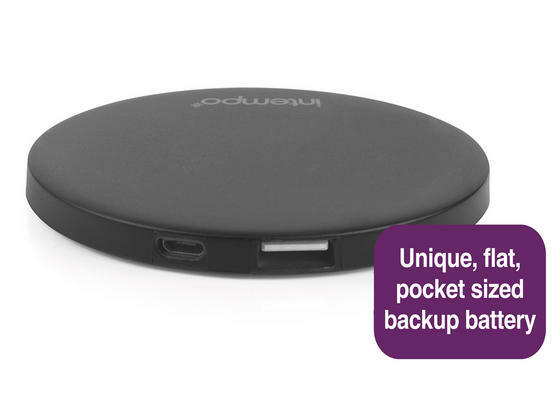 Featuring 2000 mAh and a rechargeable lithium-ion polymer battery, it can easily charge any Smartphone so you can stay connected. 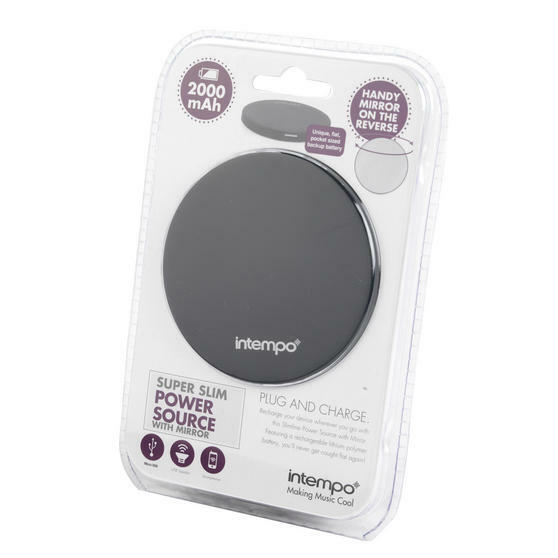 The slim power source is incredibly easy to carry wherever you are, measuring 8.3l x 0.8w x 8.3h cm with a weight of just 60 g.
Simply charge the power source for 2-3 hours using the included USB charger, then keep it in your handbag or pocket until it is needed. 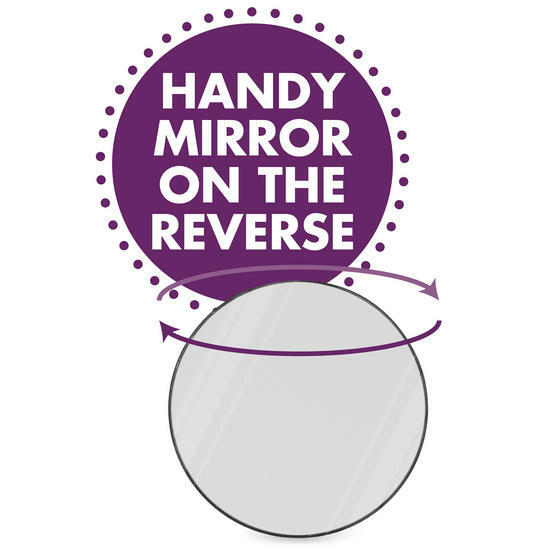 When your phone battery is low, plug the USB side of your phone charger into the power source and connect the charger to your phone.